Labyrinths is a site-specific dance and music installation that uses techniques of improvisation to explore how processes of translation open space for multiple times, places, and perspectives to interact. 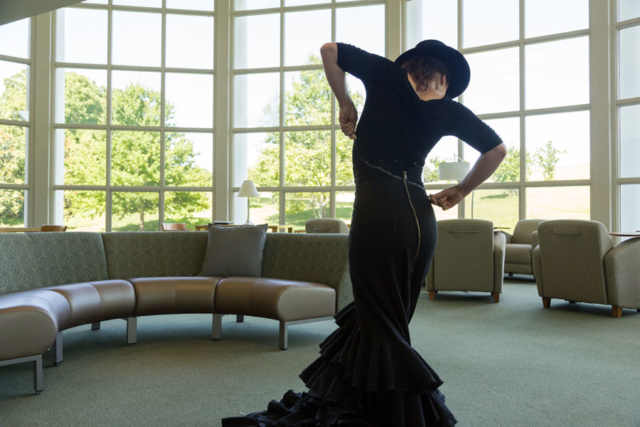 The work transforms library spaces with flamenco dance and interactive electronic music, inviting the audience to experience dance and libraries in a new dimension. This is a collaboration with composer Nicolas Benavides.